Who can be a Grizzly? Any and everyone able bodied or disabled are welcome to come out and play. Our recreational program runs out of Mount Royal University weekly! We are open to all ages and abilities, disabled or able-bodied, male or female. Whether you have played before or not, you are welcome to come and try. We provide equipment and instruction from a variety of leaders. If you are interested in checking us out, please see out programs page or contact us for specific times. Our competitive program runs out of the University of Calgary a few times a week from September through May. We offer competitive leagues and tournaments, professional coaching, great physical benefits, new friends and much more fun! 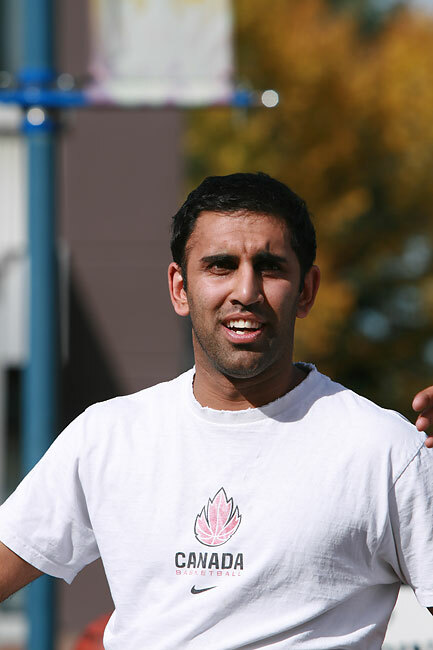 The Calgary Grizzlies and Calgary Rollers Wheelchair basketball clubs are saddened by the sudden loss of one of our long-time members, Ranjit “Rambo” Sidhu. Tragically Rambo was killed in a climbing accident in Canmore on July 29th/ 2012 at the age of 31.